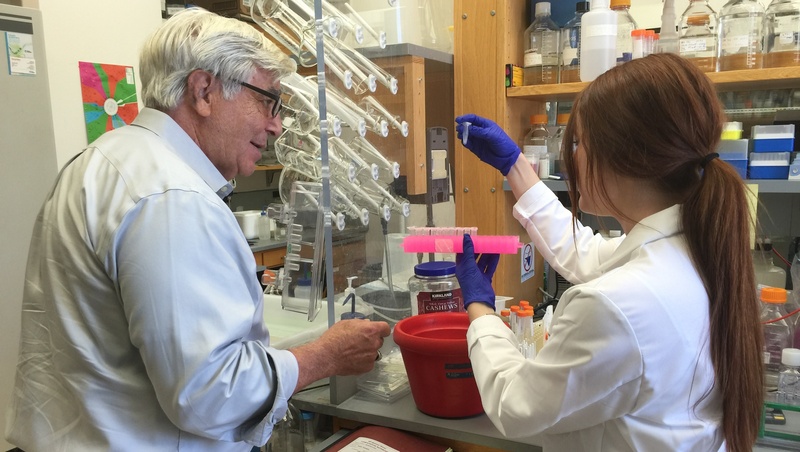 Working in Dr. Billy Hudson’s lab in the Division of Nephrology and Hypertension, Center for Matrix Biology and Department of Biochemistry, Barber’s research uses chemical and biochemical approaches to focus on understanding Goodpasture’s autoimmune disease. Her work seeks to better understand the medical mystery surrounding how the disease develops and how medicine can treat it. Despite the experience of working in a state-of-the-art research facility among the nation’s top medical minds, Barber said some of her favorite memories have been the ones shared with her colleagues–fellow students, professors, researchers, doctors and even artists. Barber looks to the program’s directors, Drs. Billy and Julie Hudson, for the experience’s transformative qualities. “They told us on the first day that we would learn a lot about science during our time here, but we would learn more more about ourselves,” Barber said. “The truth within their words is astounding.” From learning how she interacts with others, to how she deals with challenges to how thinking creatively within the sciences is necessary, Barber said her time as a Aspirnaut has only strengthened the passions she developed as a child.